It's the Knights' fourth season in the Uptown ballpark, and yet no one wants to believe that their friends have already seen enough skyline shots on social media. Snap away, folks. 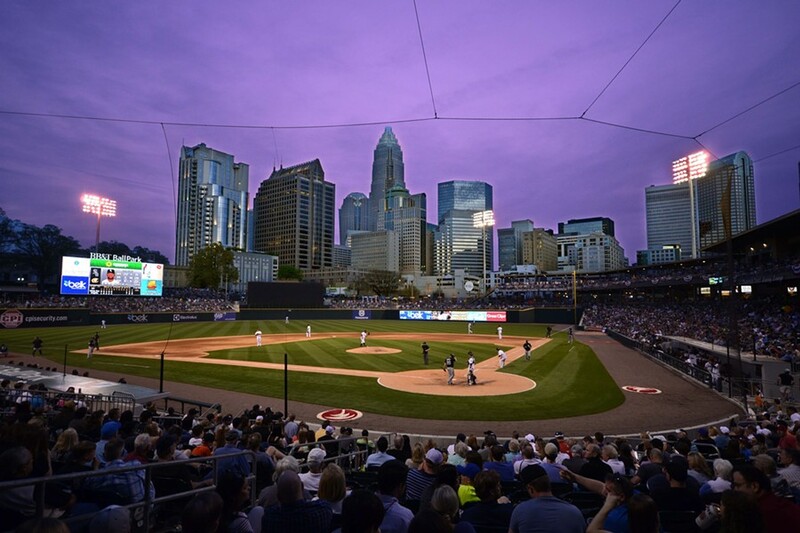 So, this is embarrassing, but it came to our attention this morning that in this week's Spring Guide print edition, we screwed up the Charlotte Knights home schedule royally. And no, that awesome pun won't fix it. For that reason, we've created this post to get things right, and we've included some of those ironically tacky promotions (did you know Soup Nazi was in town last year?!) so you know the right night to attend. Also, remember that every Thursday is a Thirsty one, with $3 domestic drafts and $1 small sodas, and every home game on a Friday night will feature post-game fireworks. This isn't paid content or an advertising scheme — we actually haven't even heard from the Knights about our flub yet — we're just trying to fix things quick after realizing we've gotten ourselves behind in the count. Print this and hold on to it or put it in your "Favorites" folder or whatever it is you kids do these days. Our apologies for any confusion caused by the botched schedule in the print edition.